The restaurant business is a competitive one, and with that competition comes the need to provide, not just great food and service, but an engaging ambience for patrons. 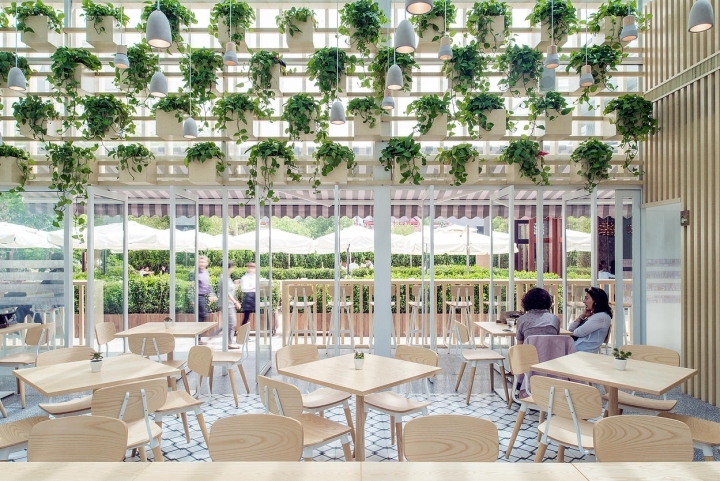 The design of the restaurant is an integral part of the experience, and many restaurants are using plant life and green elements with their modern décor. But what if you could get the same look at a fraction of the cost and maintenance? 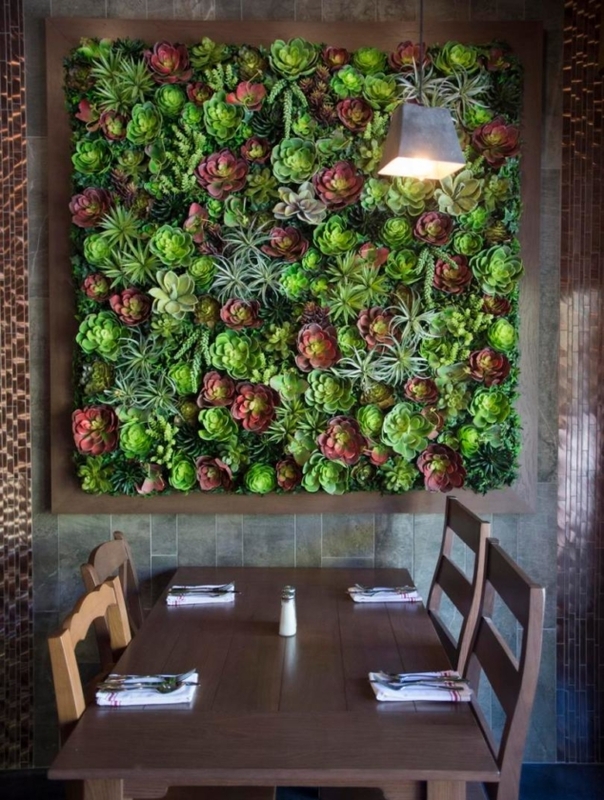 Height, texture, color: you can add it all with faux plants for your restaurant décor. Lifelike artificial trees, succulents, palms, hanging baskets, and decorative reeds are all great additions, and have multiple functions that go beyond the aesthetic. 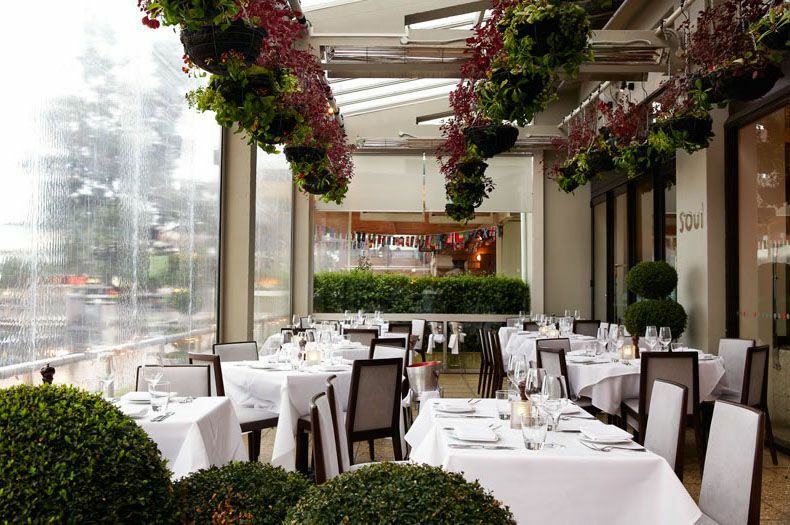 For example, hanging baskets filled with faux vines and flowers can be used to draw the eye up to a high ceiling, and leafy boxwood hedges can be used as space dividers between the louder bar area and a quieter dining room. 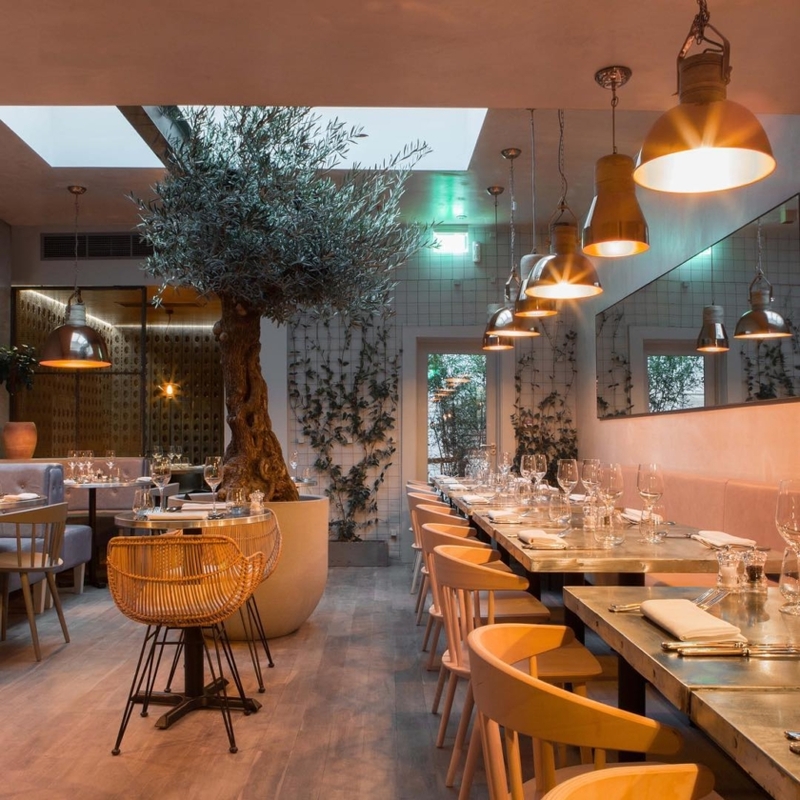 Running a restaurant is hard work, so why complicate matters with plants that you have to babysit? And even with the best plant care, there are no guarantees that leaves won’t brown and greenery won’t fade. Replacing plants can be expensive and maintaining them, time consuming. Faux plants, on the other hand, always look their best. They can be placed high up, in hard-to-water places since they require no water. They can be put in a dark corner and thrive without light. 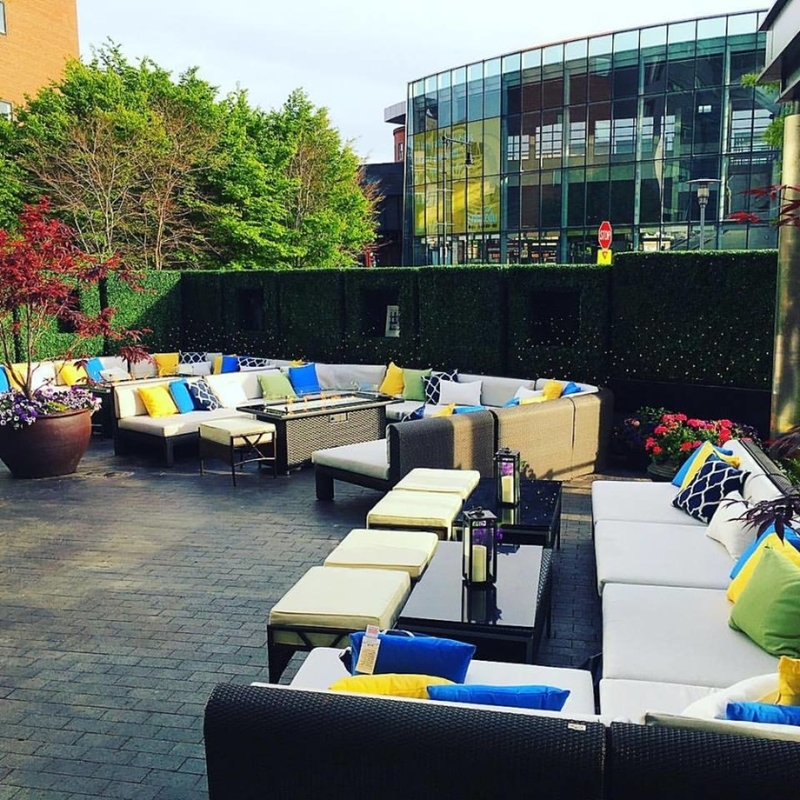 Or they can be lined up on an outdoor patio, and their UV-protected greenery won’t fade from the sun. On tabletops, faux plant arrangements will shine beautifully without worry of attracting pests that pester your guests, or root rot and mold growth from overwatering. And guests with allergies to certain plants can dine peacefully in an atmosphere that uses faux greenery. Don’t Want to Go “Full Faux”? Mix it Up! There’s no crime in mixing in faux plants with the real thing. 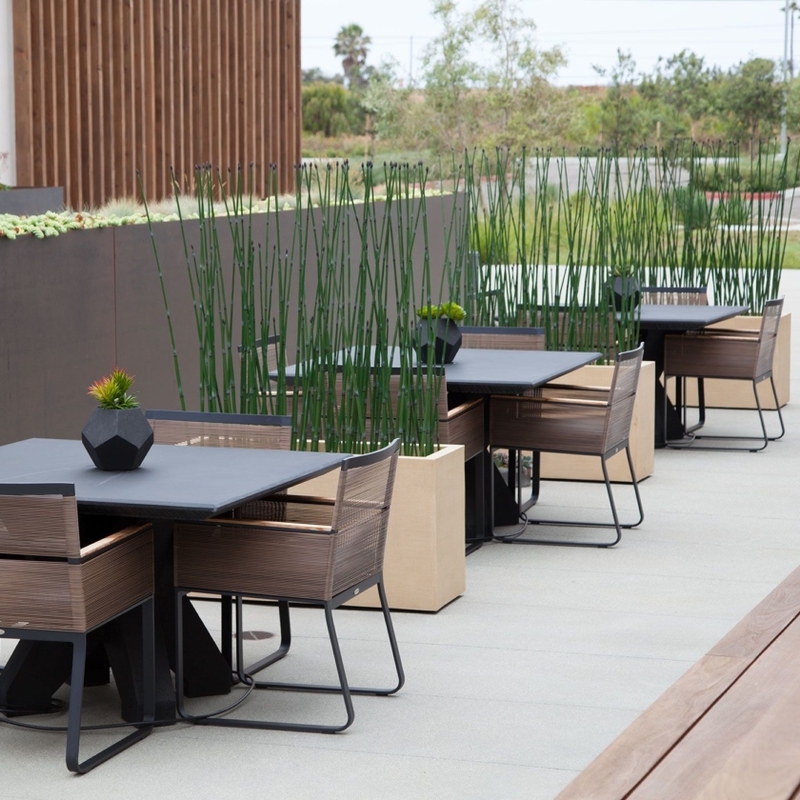 Many designs have real plants in areas where people can touch, smell, and see them close up: such as on tabletops, bars, dining areas, etc. However, for out-of-reach areas where it’s not practical to have live plants (on high shelves, second stories, etc.) faux plants are a great way to keep the green theme while halving the cost and time of plant maintenance. Available on their own or in a modern planter in the style, finish, and color of your choice, our artificial boxwood hedges are often used to block unsightly views and section off spaces. Hand assembled with UV-impregnated greenery on an iron grid cage with steel clasps and color-matched zip ties, these lush hedges can be used indoors or out, bare or populated with faux azaleas in various colors. From clematis to pothos to bougainvillea, we have a range of trailing vines for your hanging planters and pots put in high places. In addition to the aforementioned, our vine selection includes morning glories, azaleas, pothos, sage ivy, buckler ferns, Danica ivy, grape bush, wandering Jew, grape leaves, flocked mini piggyback, and squash ivy. The realism of our faux horsetail reeds comes from intricate craftsmanship. Both decorative and functional, they act as modern design piece, space divider, and privacy screen all in one. Choose from standard, medium, or thick coverage to control their privacy rating, and buy them individually or in by-the-foot measurements to customize them to your project’s needs. Available in 2′ to 6′ heights. Get the modern look of succulents and cacti in an assortment of artificial renderings: each one looking so lifelike you’ll want to water them! Bromeliads, agave, yucca, and echeveria: you name it, we have a natural-looking faux copy of it! Buy pieces individually to create your own arrangement, or place one directly in a pot for zero-maintenance greenery you can add anywhere. We Have Custom Green Walls Too! 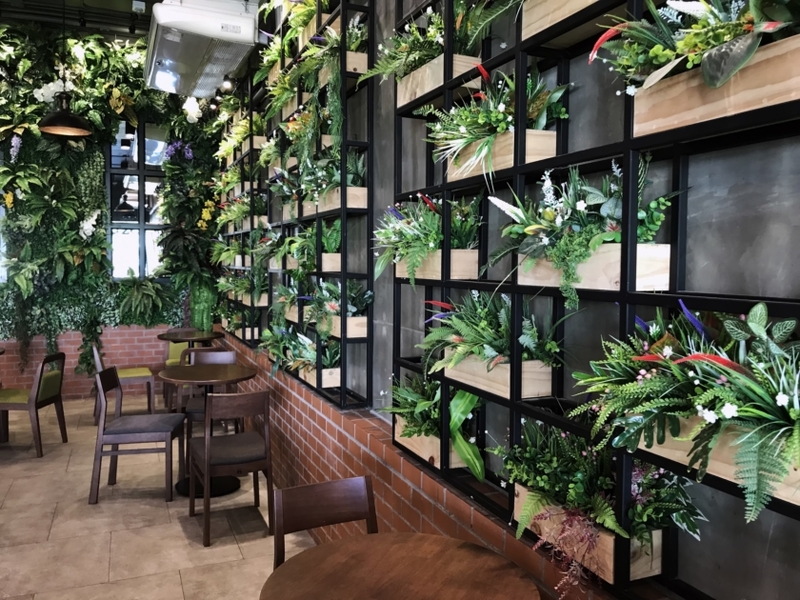 If you’re looking for a custom faux plant arrangement, green wall, or other green décor to match your brand, give us a call! Whether you know exactly what you want to the spec or you need help creating the look you’re after, we can assist you in the process. Call 1-888-320-0626. NOTE: Not all photos included show faux plants–some are real. These photos are used merely for inspirational purposes so that our readers can imagine creating similar designs with faux plants. Photo credits (top to bottom): KBCO Design, Kinnersley Kent Design, Danielle Bates & Godward Guthrie Architecture, Artificial Plants Unlimited, Four O Nine Studios, and Artificial Plants Unlimited (two photos). Blog featured image: Ippolito Fleitz Group.